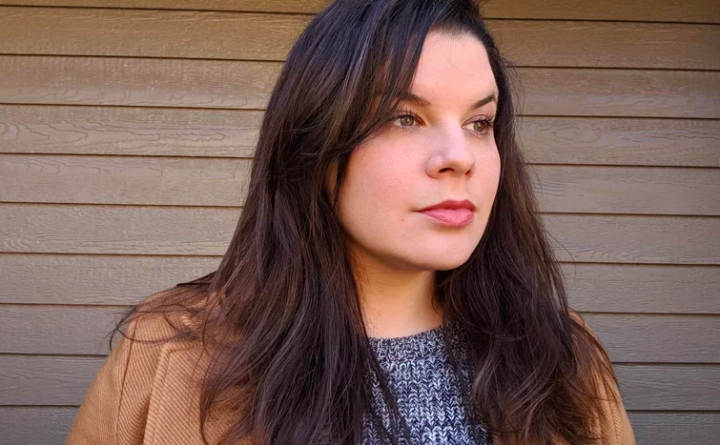 Clifton native Kate Russell rocketed to the top of the literary world this week, after her debut novel, “My Dark Vanessa,” sold to William Morrow, an imprint of HarperCollins, for a whopping seven figures. “My Dark Vanessa” was described by Entertainment Weekly — which broke the news of the book deal — as “a story of psychosexual manipulation between a teenager and her English teacher, and the aftermath of their years-long affair.” The book has been picked up for translation and publication in 22 countries, and according to Entertainment Weekly, a film studio has already made an offer to make an on-screen version. The exact amount of the overall book deal was not disclosed. Russell, 34, just completed a Ph.D. in creative writing at the University of Kansas in Lawrence, where she is currently living with her husband, Austin, and teaching. Russell told the U.K. publishing industry site TheBookseller.com that she has been working on the novel that would become “My Dark Vanessa” since she was a teenager. Russell is the daughter of Bobby and Rosemary Russell, who still live in Clifton. She’s a 2002 graduate of John Bapst High School, and a 2006 graduate of the University of Maine at Farmington, where she earned a BFA in creative writing. Longtime listeners to WKIT 100.3 are almost certainly familiar with her father, Bobby Russell, who has been the longtime co-host of the Rock n’ Roll Morning Show, and is the general manager of Zone Corp., the station’s parent company, which is owned by Stephen and Tabitha King. Stephen King had high praise for Russell’s novel, which he told Entertainment Weekly. Sadly, those interested in reading “My Dark Vanessa” will have quite a long wait before they can crack it open: it’s set for publication in January 2020.